CHALK4PEACE had at least four events in late October to share- California, Virginia, Switzerland and Poland- P.S. 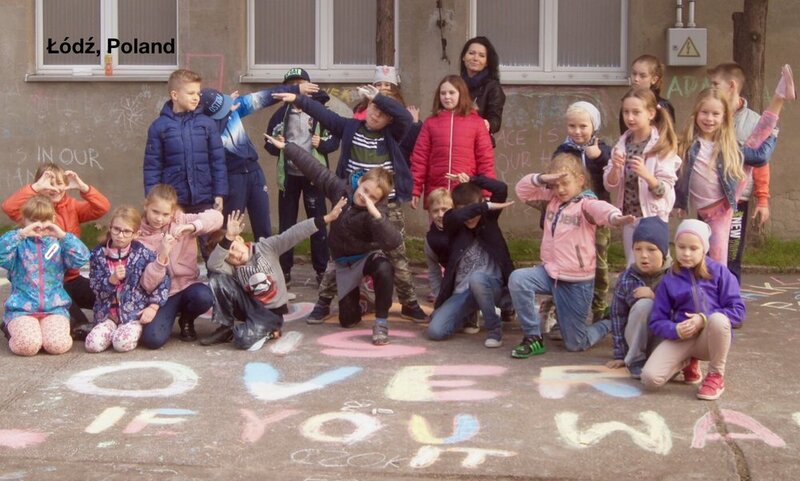 139 in Lodz celebrated John Lennon's birthday with CHALK4PEACE for the 11th year; Ojai (CA) Day with its C4P Mini-mandala project; Waples Mill ES, Oakton, VA also observed its 11th year working with us and Switzerland's first efforts at C4P. Thank you all for drawing the world closer together.